A. God created Lucifer, the chief of the angels, during the creation week. B. After the sixth day of creation, Lucifer became proud and decided that he wanted to be like the Most High. C.	He led a third of the angels in a rebellion against God and was defeated and cast out of heaven with his angels. D.	See Section III, 2 for Biblical proof of this. A. The next battle with God focused on bringing down man. B. It was clear that man was the focus of God's creation. i. God saved man for the last of His creation (Gen 1:26-27). ii. God breathed into Adam the breath of life and made him a living soul (Gen 2:7). iii. God created Eve out of Adam, which was unique in the creation of females (Gen 2:21-22). iv. God created Adam and Eve in His own image (Gen 1:27). v.	God gave Adam and Eve dominion over all of creation (Gen 1:26). C.	Satan's two greatest faults at this point were pride and envy (Isa 14:13-14; Eze 28:17). i. Pride is the source of all strife (Pro 13:10; Pro 28:25). ii. Pride n. - 1. a. A high or overweening opinion of one's own qualities, attainments, or estate, which gives rise to a feeling and attitude of superiority over and contempt for others; inordinate self-esteem. iii. Envy is one of the most injurious of all sins (Pro 27:4). a. Envy n. - 1. Malignant or hostile feeling; ill-will, malice, enmity. b. Envy v. - 1. trans. To feel displeasure and ill-will at the superiority of (another person) in happiness, success, reputation, or the possession of anything desirable; to regard with discontent another's possession of (some superior advantage which one would like to have for oneself). iv. Satan wanted to be like the most High and to take His throne to be the ruler of heaven and the universe, but failed. v.	Having lost his first battle with God and having been cast out of heaven, Satan then focused on destroying man out of envy. a. This would be a way to harm God by destroying the pinnacle of His creation. b. This would allow Satan to be the prince of this world, having destroyed those to whom God gave the dominion of it. D.	God gave Adam a law prohibiting him from eating of the tree of the knowledge of good and evil and attached to it a penalty of death for breaking it (Gen 2:17). i.	Satan heard God give Adam the law because he later questioned Eve about it (Gen 3:1) - more on this later. ii. He now had a way to destroy Adam and Eve if he could just entice them to break God's commandment. iii. If they would break it, God will kill them. iv. How would he accomplish this though? a.	Murdering them outright would not work. b. Forcing them against their will to eat the fruit would not work. c.	Satan had to figure out a way to get them to willingly break God's commandment. d.	This would have to be accomplished through deception. E.	Satan apparently had observed the natures of the man and the woman and figured out which one he would have the best chance of success tempting. i. This doesn't require much speculation. ii. We know that Satan was present when God gave Adam the commandment. iii. Therefore, it follows that he was present after Eve was created and would have had the chance to observe them. iv. Since Satan is extremely intelligent (Eze 28:12), he would have been able to understand what much less intelligent people have: women are more emotionally driven and more easily deceived than men. v.	Satan could have also easily figured out that a man deeply loves his wife and can be easily influenced by her. vi. Therefore, the easiest way to bring down our first parents was to first deceive Eve, and then through her tempt Adam to sin. i.	Beguile v. - 1. trans. To entangle or over-reach with guile; to delude, deceive, cheat. ii. He took the form of a serpent, the most subtle of all beasts, to entice her (Gen 3:1). iii. He began the deception by questioning God's commandment, asking in other words, "did God say that you couldn't eat of every tree in the garden?" (Gen 3:1). 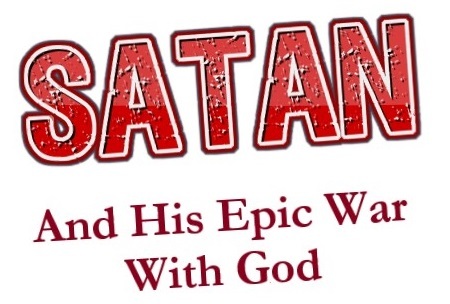 a.	Satan was the first Bible skeptic and critic. b. This type of questioning has the effect of making the other person begin to question what God said. c.	Rather than rebuking the skeptic, Eve plays into his hand by answering him. d.	Either because of ignorance, confusion, forgetfulness, or being flustered by a talking snake, Eve attempts to paraphrase God's commandment, but ends up adding to it and watering it down. e.	She said that God said that they were not allowed to touch the fruit (Gen 3:3), which was an addition to the commandment that was incorrect since they were commanded to dress and keep the trees of the garden which would have required touching them (Gen 2:15). f.	Eve also quotes God as saying "lest ye die" (Gen 3:3). h.	It is true that not eating the fruit of the tree would prevent and guard against them dying, but Eve's paraphrase did not express the full truth of "in the day that eatest thereof thou shalt surely die" (Gen 2:17). i.	Eve was the first Bible reviser. j.	Eve is now in a very vulnerable position. k.	She doesn't have a clear understanding of the word of God and therefore will not be able to discern truth from error regarding God's commandment. iv. Satan then moves from questioning the word of God to outright contradicting it, saying "Ye shall not surely die" (Gen 3:4). v.	Next, without giving Eve any time to respond, Satan accuses God of having ulterior motives for giving the commandment, telling her that God was trying to prevent them from becoming as gods, knowing good and evil (Gen 3:5). a. This would be tempting to a sinless woman who had limited knowledge and who didn't know evil. b. This piques her curiosity. vi. Satan's work is nearly complete. He has planted the seeds of deception and now Eve runs with it (Gen 3:6). a. She stops thinking about God's straight-forward commandment and starts reasoning within herself . (i)	The tree was good for food (lust of the flesh) (Gen 3:6 c/w 1Jo 2:16). (ii)	It was pleasant to the eyes (lust of the eyes) (Gen 3:6 c/w 1Jo 2:16). (iii)	It was desired to make one wise (pride of life) (Gen 3:6 c/w 1Jo 2:16). b. She has been deceived (1Ti 2:14). (i)	Deceived ppl. - Deluded, imposed upon, misled, mistaken, etc. : see the verb. (ii)	Deceive v. - 1. trans. To ensnare; to take unawares by craft or guile; to overcome, overreach, or get the better of by trickery; to beguile or betray into mischief or sin; to mislead. (iii)	She went from knowing that God said not to eat of the tree to now being tricked into thinking that it was advantageous for her to do so. c.	She took the fruit and ate it (Gen 3:6). d.	Though Eve was deceived, she was still guilty of sin (1Ti 2:14 c/w 1Jo 3:4). vii. Eve is now spiritually dead while she liveth. a. She was drawn away of her own lust and enticed (Jam 1:14). b. Her lust conceived and brought forth sin which brought forth death (Jam 1:15 c/w Gen 2:17). viii. Satan is only one step away from killing Adam. a.	Eve hands the fruit to Adam (Gen 3:6). b. She tells him to take a bite. (i)	We know that she told him to eat it because he listened to her (Gen 3:17). (ii)	Whether or not Adam heard the conversation between Eve and Satan is immaterial because, either way, Adam was not deceived (1Ti 2:14). (iii)	We show God that we love Him by keeping His commandments (Joh 14:15; 1Jo 5:3). (iv)	Adam obeyed his wife instead of God (Gen 3:17), therefore Adam loved his wife more than God. (v)	What Satan could not accomplish through deception, he accomplished through the power of ungodly love. c.	Adam ate the fruit (Gen 3:6). d.	Adam instantly died spiritually (Gen 2:17; Rom 5:12). (i)	Adam and Eve went from being sinless and innocent to being ashamed (Gen 3:7). (ii)	They went from being in communion with God to hiding from Him (Gen 3:8-10). (iii)	Adam went from being in perfect harmony with his wife to blaming her for his sin (Gen 3:11-12). (iv)	Eve went from being sinless to not accepting responsibility for her choices (Gen 3:13). e.	Eve was cursed with sorrowful childbearing and lots of it (Gen 3:16). f.	Adam was cursed to hard labor where he would have to work in cursed earth that brought forth thorns and thistles (Gen 3:17-19). g.	Adam and Eve were driven out of the garden of Eden (Gen 3:22-24). G.	Satan had won the battle of destroying Adam and Eve, but God had outsmarted him. i. God cursed the serpent, which Satan co-opted to deceive Eve, to a life of crawling on his belly and eating dust (Gen 3:14). ii. God then made a promise that Eve would have a seed (a male descendent) that Satan would wound in the heel; but her seed would fatally wound Satan in the head (Gen 3:15). iii. Satan now knows that there is coming a man that will be born of a woman who will destroy him. iv. At this point any child that is born into the world who is a child of God is the potential destroyer of Satan. v.	Satan now sets out to destroy the woman's seed before He destroys him.